Annuities affect a great many people including pension scheme members, the self-employed, pension scheme trustees and employers. The purchase of an annuity may be one of the most important financial transactions in the life of an individual - certainly it is one with very long term consequences. It is therefore important to understand how annuities work and the various options that may be available in the annuity market. When the time comes to purchase an annuity, many pension arrangements, particularly those that invest in insurance contracts, allow an "open market option". This means that whoever is purchasing the annuity has a choice of going to any insurance company operating in the market, regardless of where the pension fund itself was invested. The purchaser may be an individual (for instance, a self-employed person) or a group of people (such as the trustees of a pension scheme). Whoever is buying the annuity, it is important that they understand how the annuity market works, the meaning of the various options that may be open, the effects of pension scheme rules and the legal framework surrounding pensions. 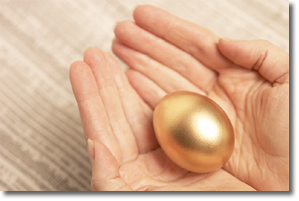 This understanding will help them to secure an annuity that most suits the needs of the person who is retiring. In its report on the National Pensions Policy Initiative, the Pensions Board has made various recommendations as to how the retirement income might be secured in the future, as an alternative to the purchase of annuities. Already, changes have been implemented in the 1999 Finance Act for the self-employed and for proprietary directors. However, this website's main purpose is to deal with the legal and other requirements as they stand at present (October 2000), and how they affect members of occupational pension schemes, since buying an annuity will always remain an option.